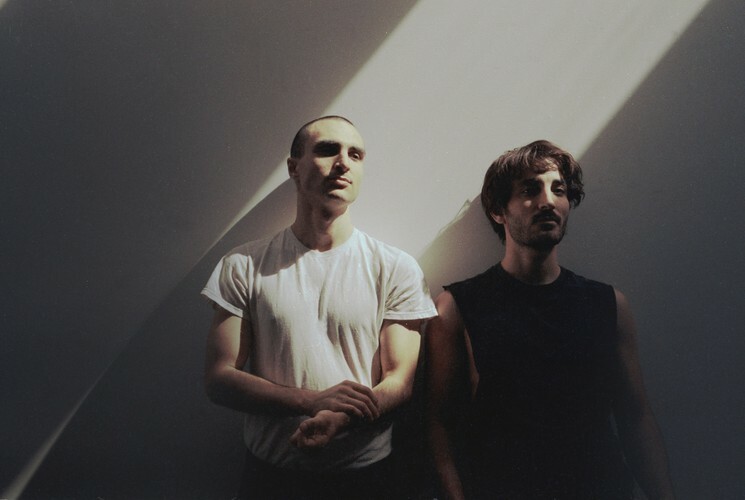 Majical Cloudz is the electronic/indie pop project of Canadian singer-songwriter Devon Welsh, who joined with Matthew Otto to collaboratively produce and perform his songs. Welsh, the son of actor Kenneth Welsh, began Majical Cloudz as a collaborative open project in Halifax 2010 with Matthew E. Duffy (who departed the project after the release of II), releasing a self-titled cassette on Numbers Station, the EP Earth to a Friend/Mountain Eyes, and the full-length album II on Arbutus Records in 2011. Otto joined as a collaborator in 2012, appearing for the first time on the 2012 EP Turns, Turns, Turns. Their second album, Impersonator, was released May 21, 2013 on Matador Records, and was a longlisted nominee for the 2013 Polaris Music Prize. Their live performance has been critically acclaimed as one of the project's most enigmatic elements, with the band touring extensively throughout North America to support the album, including performances at Toronto's NXNE festival and New York City's Northside Festival. Welsh collaborated with Grimes and toured with Lorde on her fall 2014 North American tour. Majical Clouds third album, Are You Alone will be released October 16th 2015.